My Nana used to make the most amazing lemon butter (lemon curd) - it was super yellow from her own little chickens eggs and it was lemon heaven on soft fresh white bread. As we have some gluten free family members I adjusted my pastry recipe to a gluten free pastry (best eaten on day of baking but yes, can be frozen!) and added my conversion of Nana's lemon butter to make a lemon custard. These are so good, a little sprinkle of icing sugar, a little dollop of thick cream - yum, impossible to stop at one. 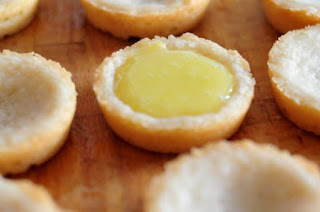 Make them as one big tart or mini tarts as described below. This pastry is also PERFECT for apple pies, apple roses and if eliminating the sugar - quiche and savoury pies. Using a food processor, process the flour, sugar and butter until the mixture resembles fine breadcrumbs. With the processor still running, slowly add enough water till the dough forms into a ball. Knead lightly and wrap in plastic wrap in fridge for 30 minutes. 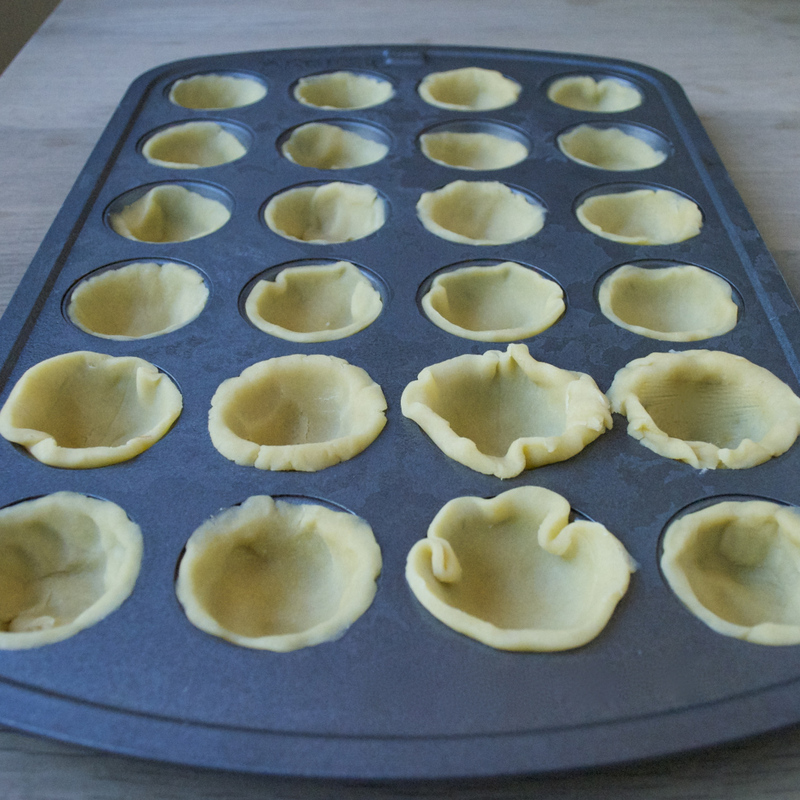 Roll out the pastry between sheets of baking paper and line your pie tin or a cupcake pan with pastry (about 2-3mm thick). Pop in a 180oC oven (350oF) for about 10 minutes or till pastry is just lightly golden. Turn your oven temperature down to 140oC. Place the lemon and sugar in a heatproof bowl over a saucepan of simmering water and stir until the sugar is dissolved. Add the cream and eggs and stir continuously for five minutes. Bake for 20 minutes or until the filling is just set. Makes approximately two dozen mini tarts. Tarts can be frozen.